A review of Amguard Health Insurance Company leads to Guard Insurance Group of which Amguard is a subsidiary. A subsidiary is an organization or company that is controlled by a stronger or higher company or organization. 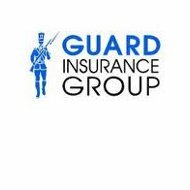 Guard Insurance Group does not sell health insurance but specializes in insurance for small to medium-sized businesses. If you are looking specifically for health insurance, enter your zip code in the box now to compare health insurance rates from several companies free. Amguard has been selling insurance as a subsidiary of Guard Insurance Group for almost 30 years. It was founded in 1983 to provide commercial insurance to small business owners that had limited startup capital. Since then, it has expanded to sell several insurance products to both small and medium-sized businesses in almost every state. Worker Compensation insurance is the most popular product sold by Amguard. Available in 27 states, Amguard workers compensation is sold on a tier basis. This means that rates are based on the size of your business and the amount of employees that you have, rather than a one price fits all formula that many workers compensation plans apply. The Business Owner’s Policy (BOP) offered by Amguard is for customers in South Carolina, Pennsylvania, New York, New Jersey, Massachusetts, Maryland, and Georgia. The BOP takes property damage and liability coverage and combines them together in one customized policy. Each policy takes into consideration the special insurance circumstances a company may have based on the type of business that is being insured. Amguard’s Commercial Auto Insurance is offered in South Carolina, New Jersey, and Pennsylvania for vehicles worth less than $75,000. The coverage includes the statutory limits set by each state as well as liability and physical damage. Amguard analyzes each business before writing a policy and suggests the best coverage options for company vehicles. The Umbrella coverage offered by Amguard is available in New York, South Carolina, Pennsylvania, New Jersey, Massachusetts, Maryland, and Georgia. Umbrella insurance is meant to add an extra layer of protection for a business. If something happens that results in a lawsuit, other insurance coverage might reach its limit. This is when umbrella coverage kicks in and protects the assets of the company and its owner. In addition to the business insurance policies sold by Amguard, they also offer services for their clients that can help insurance rates stay affordable. For example, Amguard offers Safety Groups. Business owners can join a group of other policyholders that own similar businesses. If the group as a whole keeps loss, and thus claim filing low, they will earn cash back at the end of the policy period. Safety Groups add incentive to be even more diligent about preventing loss and remaining safe. They are available for restaurants, wholesale companies, automotive establishments, and retail food companies. When you join a group, Amguard will give you pointers and information that you can use to train and inspire employees to help prevent company loss. Amguard also offers a special program through the Vice President of National Sales. This program allows any type of small to medium-size business to call and present their unique business to the company. Amguard with consider any company that takes this step no matter how customized the business is. This does not mean they accept every business, but they do take the time to analyze and consider any type of business. Amguard has an A- rating from A.M. Best, the independent insurance rating company. This means the company, is considered financially secure. This rating, as well as its ability to sell insurance in 45 states, draws the attention of many potential agents. There are currently 600 agents working for Amguard but many potential agents apply every year. With a high number of agent applications each year, Amguard is able to choose the best, most experienced insurance agents to represent the product and the client. Agents are trained in general insurance industry knowledge as well as specific Amguard information and policies. With offices in Wilkes-Barre, PA, Alpharetta, GA, Nashua, NH, New York City, Rancho Cordova, CA, Richmond, VA, Towson, MD, and Whippany, NJ, agents are available online, on the phone, or on the field to meet the needs of clients and to answer the questions of potential clients. If you are looking specifically for health insurance, enter your zip code in the box now to compare health insurance rates from several companies.